(OPride) — On June 3, Ethiopia’s state-run TV Oromiyaa (TVO) reported on a USAID-funded primary school curriculum overhaul. 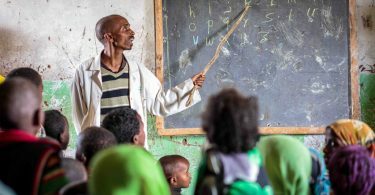 The report indicated that, under the new curriculum, the order in which the Afaan Oromo alphabet or Qubee is taught to first graders has been changed. Two weeks in, the debate around this purported change to Qubee and a possible malintent behind it remains highly contentious. 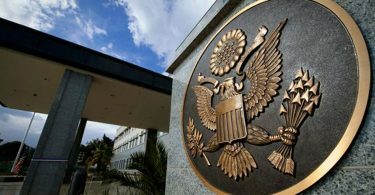 This week, the U.S. Embassy in Addis Ababa, Ethiopia’s capital, was thrown into the spotlight after attempting to clarify the scope of USAID’s involvement in the new mother tongue curriculum. The embassy insists that no change has been made to Qubee or the alphabet’s structure. And that the curriculum is meant only to teach reading—not the alphabet. Their plea for understanding has thus far failed to placate social media activists, who are campaigning under #ABCDeebisa or #BringBackABCD. They warn that the opposition now gathering online will soon spill into street protests in Ethiopia. In an effort to understand the USAID’s position, OPride editor Mohammed Ademo talked exclusively and at length with Nicholas Barnett, the spokesperson for the embassy. He spoke to us by phone from his office in Addis Ababa. Here is Part I of that exchange, lightly edited for clarity and length. Mohammed Ademo: Thank you very much for making the time, Nick! I really appreciate it. Like I said in my note to you, I truly appreciate that the embassy is doing this because the news of the primary school curriculum redesign has created so much confusion and frustration for people, who obviously value your work and what the USAID is trying to do, but there is a lot of miscommunication and lack of clarity around this. I hope we can clear up all that. Nicholas Barnett: I agree, and I appreciate that you reached out to us for clarification. I have a colleague of mine here from USAID who’s going to make sure that I’m providing accurate information but I’ll be the one on the record for this. I understand how important this issue is to people—the relationship of language with culture and heritage and history can’t be overstated. We would never do anything that undermines that relationship. So I’m more than happy to help clarify what the USAID program actually did, which had nothing to do with the Afaan Oromo alphabet. MA: Great, I guess we can start by maybe describing briefly the extent of USAID or the embassy’s involvement in the new curriculum design. Or if you can recap sort of how we got to where we are now. NB: Sure, the program is very narrow in scope. It is only focused on reading curriculum. So it doesn’t touch any other aspect of education. The program was designed to address historically low literacy in Ethiopia, particularly in students native languages. It started about four years ago and the assessments were conducted for seven languages in total including Afaan Oromo as well as Tigrinya, Amharic and a few others which we’ve shared publicly. The program was designed based on an internationally accepted process which is the alphabetic principle and this is again only for reading. The principle behind this is that students learn to read more quickly when they learn the sounds that letters make and how they work together for the most high-profile letter sounds. This is getting a little bit into the weeds but there’s a difference between the letter itself and the letter-sounds. So students do need to learn their alphabet first and that’s still being taught in school. That comes before these textbooks are introduced but the textbooks are designed to take that knowledge of the alphabet and translate it into the ability to interpret the sounds that a word makes. So that’s how these books are designed and it’s the same process in the United States. My own son just finished kindergarten so I’ve observed this. He learned the alphabet first and then we saw that his reading capacity was built by learning specific sounds that occur more frequently—not necessarily the most frequently—but more frequently so that he could very quickly identify a larger number of words. The ability to identify a larger number of words quickly is imperative for the ability to read because it means he has access to more words, more quickly. So he can practice more since he has access to more books. Now, once the assessment was complete and the programs were designed and this was done in conjunction with RTI, which has a long history of expertise in reading education. A training was then provided to 160,000 teachers across the country—again this is representing seven different languages and so they were taught how to use this [the new curriculum]. I’ve been doing some talking to my colleagues to better understand given the questions that are raised. Even in those trainings, the teachers talked about the need to first teach the alphabet so even though this book doesn’t include the [Afaan Oromo] alphabet, the alphabet is still being taught but that wasn’t within the scope of USAID project. So I think that’s where the problem starts. You are telling me now under the alphabetic principle, kids come to this reading curriculum after learning the alphabet. I also understand that in order for the students to actually make the association between a letter and the sound it makes, they have to first recognize the alphabet. Yet on the first page of the new books, there is no alphabet. And my understanding is that there is no other Afaan Oromo class where students are actually taught the alphabet. So it seems like these students are not being taught the alphabet at all. Of course, Dr. Tolemariam Tufa of Addis Ababa University has been on-the-record explaining the change in the alphabet order. Dr. Tola Bariso of the Oromia Education Bureau is on-the-record saying, “When we prepared the book for first graders, we left out the ABCD by mistake. This is something that will be corrected.” How do you square off all of that with what you just told me? NB: Well, those are good questions. Thank you for asking them. I think on what the teacher said from the quote it’s not clear whether they were talking about the reading curriculum which has changed versus the alphabet. And again that’s the distinction we’re making. I can see why a student who just learned the alphabet might ask we just learned ABCD. So it’s not clear from the quote whether the teacher was talking about the overall picture or just the reading program. I would assume just the reading program and again this is a distinction we have to make—that the reading program was never intended to deal with the alphabet. It’s possible that he was talking about the process of teaching reading and you could imagine that a student who just learned the alphabet might ask why are we learning reading in this order. But again I can’t speak for the teacher or for anyone else who spoke about it all. What I can tell you is that the USAID project had nothing to do with the alphabet. Now, as to why the alphabet wasn’t in the book, the books were prepared regionally and, yes, there’s no reason why the alphabet can’t be included in that and in fact we’ve already spoken with educational leaders in Oromia and they’ve agreed that any future publications will include the full alphabet in the correct order. We’re also reaching out to regional education leaders in the other regions to encourage them to do the same thing to remove this confusion. MA: So you agree with Dr. Tola Bariso that in the future version of the first grade reading book, there is a possibility that the alphabet could be included? And are you conceding that the Afaan Oromo alphabet is now not part of the book and that there is no other class where students are actually taught the alphabet? NB: Well, our understanding is that the students are taught the alphabet before the book is introduced. Now, if there are differences on the ground—that is completely separate from the USAID project. But our understanding—and this was discussed in the training as well—is that the alphabet should be taught first as a pre-reading course before this book is introduced. That’s our understanding. In terms of the inclusion of the alphabet in the book, we absolutely support that. There’s no reason why it shouldn’t be there. It’s just that there’s also no need for it to be there because the intent of the book was to teach reading. But if including the alphabet in the book can help teachers to clarify any confusion, then, we absolutely support that 100 percent. MA: I guess, the concern about the alphabet missing from the book is that, for example, here in the United States, I have a young child myself. Kids learn the alphabet from songs, from TV, there are alphabet books and all kinds of materials. But in Ethiopia, kids don’t have that luxury. And most of the parents are not educated. It seems to me that if they’re not given any other Afaan Oromo instruction, when these students walk into first grade, the only Afaan Oromo class that they are given is this reading curriculum that you have prepared. They are sort of just immersed into it without actually learning the alphabet or the ABCD. NB: I think that there’s room for discussion, I mean, again our understanding is that the alphabet would still be taught. And just like this book doesn’t deal with the alphabet, it doesn’t deal with math or history or any other subjects that are being taught. So we shouldn’t assume that nothing else is being taught just because it’s not in this book. This book is designed to teach reading and only reading—and that’s the extent of USAID is involvement. So I think part of the problem, one of the challenges here is that it’s been taken out of context. USAID is not developing the entire curriculum for elementary school students. These are good questions to ask if people are concerned but making the assumption this is a nefarious plot to undermine the language just doesn’t hold water. Again, this is not just done for Afaan Oromo. This is done across the entire country and this is the same practice that’s used in the United States. And our understanding, again, I’ll repeat—is that the alphabet is still being taught. And that’s what was discussed in the training. If there are other people saying differently, then you have to ask the actual teachers or the actual school board about that. But that is completely unrelated from the USAID project. MA: I assume a lot of the 160,000 teachers you have trained so far are from Oromia. I have heard from a few teachers in the last few days, who said they pushed back against this curriculum during trainings and also after fielding questions from students and parents. In fact, some allege that they were sidelined or warned by government officials for having “problematic viewpoints” when they raised questions about the new curriculum. Are you aware of any resistance from Oromo teachers during the trainings? NB: Six other languages, besides Afaan Oromo, were included in the project, so teachers from all over the country received training. We are not aware of any pushback during the training, but in such a large group, it wouldn’t be surprising for some participants to question the methods. We hope that any questions would be welcome and concerns given due consideration as we all seek a shared goal of improving the proficiency of students in their native languages. MA: I hope you would appreciate the fact that there are all kinds of mixed signals and the officials are not able to fully explain this change. It becomes too confusing when the TV report says one thing. Dr. Tolermariam says another thing. And Dr. Tola says something else. This is in part what created the current problem. And of course the Ethiopian officials face a very skeptical audience and you understand the political backdrop of this. Let’s move on to other questions. I’m hearing three different things on the timeline of this. The TV report said this new curriculum was implemented or put in place three semesters ago. Dr. Tolemariam and others who have appeared on TV since then say this was implemented three years ago. I understand the USAID is saying about two years ago? MA: I have a copy of the book right here—the first grade book. It’s the USAID logo. I guess what I was asking is when were those books printed and distributed and when were the teachers trained? NB: Okay, so the books have been introduced in phases but they started being introduced to the classroom two years ago. The most recent one was introduced last year and again they’ll continue to be new printings and that’s why we have this opportunity to work with the regional education authorities to include the alphabets moving forward. It didn’t happen all at once but there’s well over a million of these books in circulation now so this has been an ongoing thing. MA: I understand that a number of Afaan Oromo experts were involved during the curriculum design. Has there been any consultation with families and the students? Generally, as you know the government has a trust deficit in that country…has there been any consultation with scholars who are not part of the government or not affiliated with the government? I ask that because in the TV report a few Oromo scholars were interviewed, they were openly critical of the new curriculum. In other words, the opposition is not necessarily coming only from activists and people who don’t trust the government but there are Oromo scholars or Afaan Oromo experts who looked at this and said “this is not good.” So has there been any consultation outside of the Ministry of Education and regional education bureaus? NB: Absolutely, the key partner that led this effort, RTI, is an independent institution with broad experience in early education and reading. That’s why they were brought on and a number of international experts were involved in this. To your question about perceptions, what are people reacting to? That would be my question. If they’re reacting to the inaccurate reports and this is what we seem to see even from people who are purporting to be experts—the question they ask is why did you change our alphabet? But we didn’t change the alphabet. That indicates to me that even the experts are not working off of the correct information. Throughout this conversation, I think you’ve seen a number of the questions are easily answered if someone takes the time to ask them, which why I appreciate that you’re taking that time. In terms of working with communities and parents to explain it, we would hope that the schools would fulfill that role. That’s how it would normally work to explain why this change is being made in their children’s education and why it’s being done this way. But at the same time I think it’s pretty clear to see in these discussions that this is a very complex issue. It is not a simple thing that we’re changing just to change it but there is all of the scientific background and we’d be happy to provide you with information about the alphabetic principle itself that goes into making these decisions. So we hope that the teachers would talk to the parents and say we’re introducing this new method. Here is how it’s going to help your child learn to read more easily. But usually the development of a curriculum is not something that’s done in consultation with an entire community. It’s just not possible. That said you know constructive feedback, for example, like saying please include the full alphabet on the first page of the book is something that’s easily addressed. We welcome that and we’re very happy to support that effort. In the coming years, we will also conduct assessment of how effective this has been and if there needs to be improvements either to the training of the teachers or to the function of the curriculum that can also be done. But this is a process that we are proud of — we do believe that this will help students learn to read more effectively in their native languages and this is done in full respect with the structure of the languages that we’re trying to help teach. USAID in no way—at any time—has had any interest in changing the alphabet or structure of the language. All we want to do is help children learn to use their language effectively. And I think if we start from that premise and continue to engage and answer these questions, then we can achieve what everyone wants, which is a brighter future for Ethiopia—starting with its children. Please check back tomorrow for Part II of this interview, or subscribe to our newsletter below to receive it via email. EPRDF is stuck in a deep rut but how drastic a self-correction can it make?